It was Martin’s idea to decorate the model rocket with flames. So why did his friend steal the idea? Now Martin has to come up with something even better in time for Saturday’s launch. But will he lose a friend in the process? 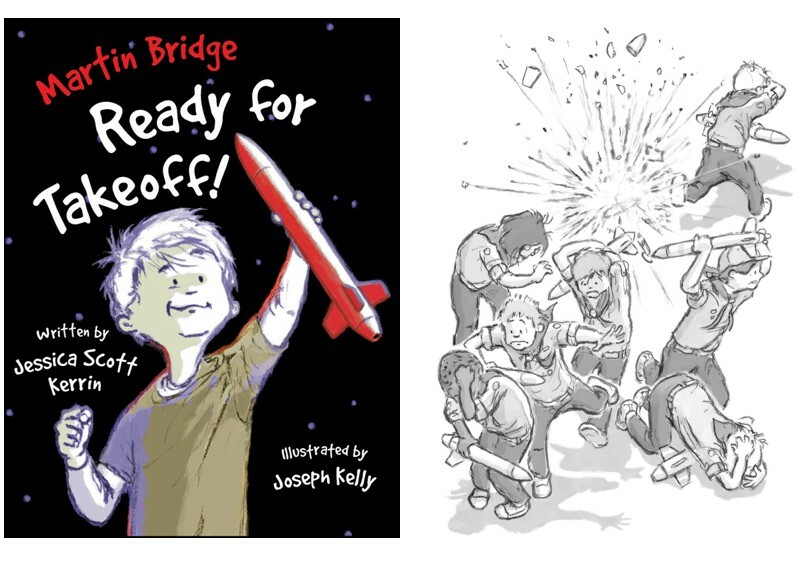 Meet Martin Bridge, a boy whose best-laid plans go awry in this lively trio of stories: “Riddles”, “Faster Blaster” and “Smithereens.” The daily rhythms, struggles and triumphs of childhood – at home, at school and with friends – are evoked with warmth, understanding, honesty and humor.